NEW: Print Student Log-in Cards, Edit Usernames & More! We are happy to share all new features that will significantly improve the ease in which teachers manage their class. 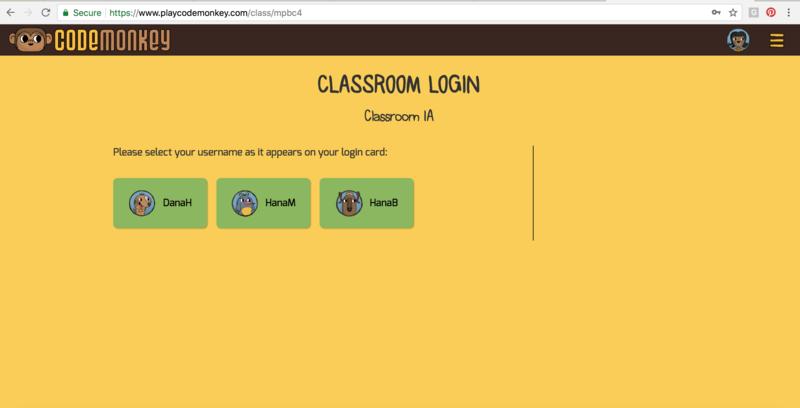 CodeMonkey now offers student log-in cards, the ability to change students’ usernames and a unique classroom log-in URL. Read below to find out more information. Teachers are now able to edit student usernames, in addition to their full name. This offers teachers more control over student accounts since from time to time, a student may need to change their log-in and now teachers can do so with the ease of a button. We are very happy to release this feature since it was requested by many teachers! This feature allows teachers to provide students with log-in cards that include students’ usernames and passwords. The teacher can easily print these out and hand each student his/her log-in card. This will come in handy as students tend to forget their passwords. 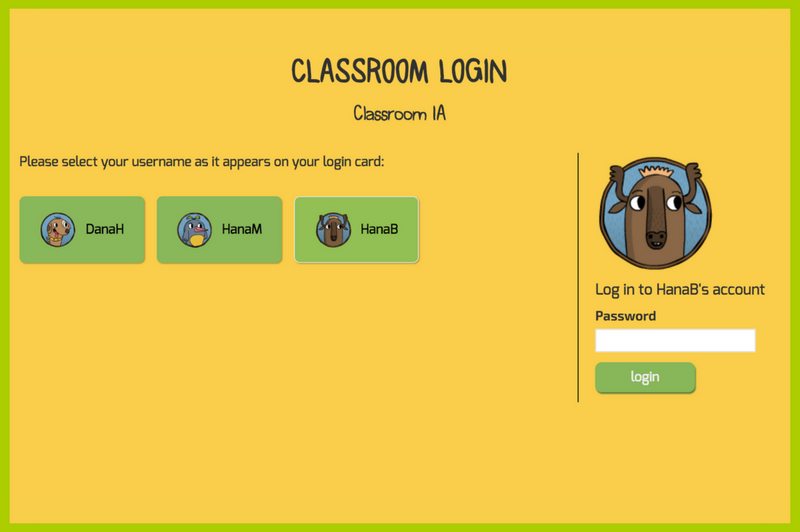 You can access the log-in cards under the Students tab in each classroom’s dashboard. Keep in mind that if the student created the password him or herself, or connected through a SSO, the password will not be shown due to privacy reasons. 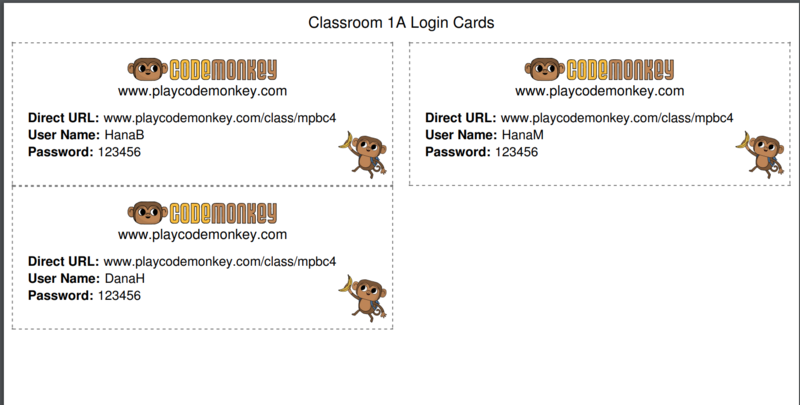 This is a great tool that facilitates the students’ access to their CodeMonkey classroom. The teacher can save this URL and share it with the class. This means students can now access their CodeMonkey account in fewer steps and less typing since there is no need to type in the CodeMonkey URL and username! To do so, each student accesses the URL, clicks on their username, fills out their password and accesses their account. In just three easy steps, students can access their homepage. Teachers are now able to generate usage reports with an overview of their classroom’s usage of CodeMonkey. The report will show data such as: average time on website, number of solved exercises and number of active users per classroom and per month. This feature is available for teachers in the “My Classrooms” page. This is great news!! Thank you for listening to what teachers want/need from a platform!